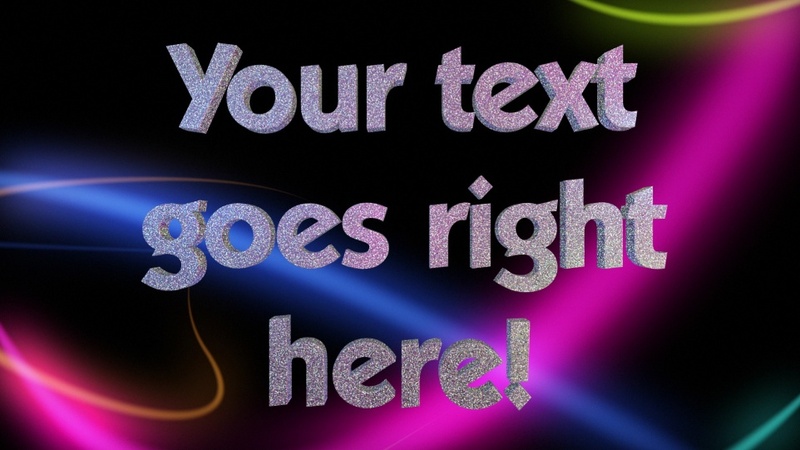 Your text rendered in chunky 3D with a glitter texture, against a background of coloured light streaks. The letters fly around in 3D space in a variety of ways. This design was produced with Pride celebrations in mind, but would work for any occasion where you want something glittery and colourful. A simple rotating animation means your text is always visible. The font used in this design is Koblenz Serial Bold. If you would like to use this in your own designs, it is available here.